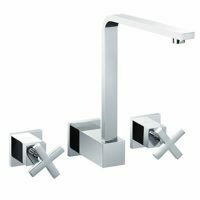 Accessorise your bathroom basin with the Cube Basin Mixer (Satin Black). 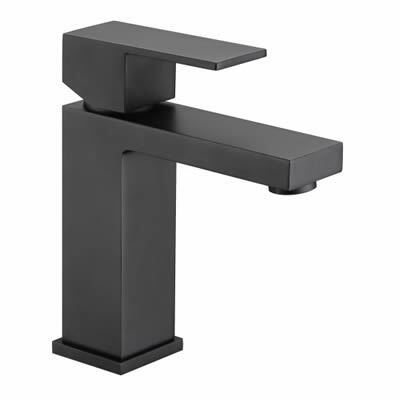 This elegant mixer tap is available in a durable satin black finish, which makes it look incredibly classy. 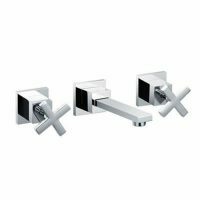 It has been designed to complement décor and can easily be installed in any contemporary bathroom. It is a classy and practical solution to bathroom renovations and new home installations. 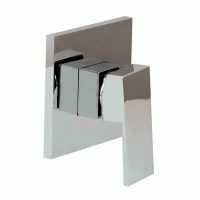 The Cube Basin Mixer features a very well thought out design. It includes a solid, ergonomic lever that can easily be operated with one hand. Moreover, it also includes unique ceramic disc cartridges, which allow precise control over the flow and temperature of water. Featuring solid brass construction, the Cube Basin Mixer is a high-quality product that has been constructed to withstand the rigors of heavy use. This mixer tap will not lose its looks or ease of operation even after several years of usage. Give your bathroom a complete facelift at an affordable price with the Cube Basin Mixer (Satin Black). Purchase this elegant mixer tap today at the lowest possible price – only from Ross’s Discount Home Centre. Drop by our showroom in Guildford or shop online to purchase this gorgeous mixer tap today!